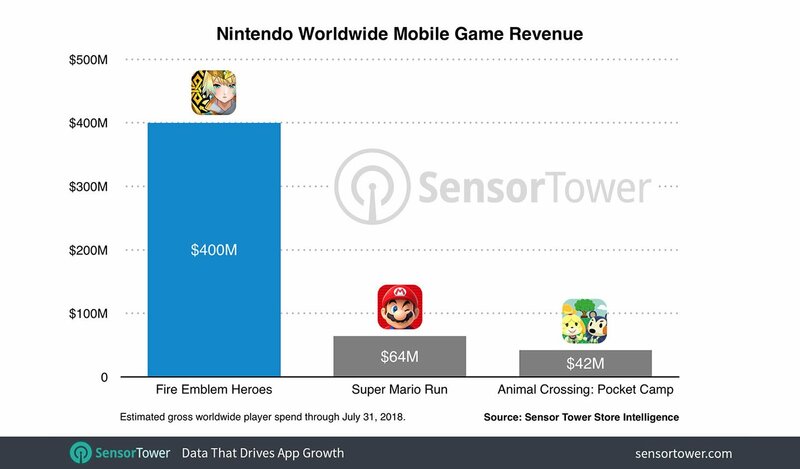 Per a recent report from app analytics firm SensorTower, Fire Emblem Heroes (Free) is still absolutely killing it for Nintendo, raking in over $400m across both iOS and Android. We last posted about this back in February when a similar report revealed that Fire Emblem was nearing the $300m mark. We mentioned in our previous article that this earnings benchmark not only makes Fire Emblem Heroes a successful mobile game, but also puts it in the realm financially of other top selling $60 console games. Today’s $400m is a heck of a lot of $60 titles, comparatively. What remains so fascinating to me about this situation specifically is that when you listened to what people were actually looking for out of Nintendo mobile games, it wasn’t a ultra freemium gacha game with an unlimited spending potential. The one-time unlock of Super Mario Run (Free) was a relief to a lot of people, and indicated that maybe Nintendo also wouldn’t fall down the free to play rabbit hole. But, money speaks louder than words, and in this case, the market is directly dictating to Nintendo what they want: More gacha.